Tunguska, Roswell, the Bermuda Triangle, the Mary Celeste… For hundreds of years, the danger of collision has been ignored as mere crackpot theories, until now, and now it’s too late. Collision is a short story commissioned by Vanquish Motion Pictures for development in film and television, and is the first in a series of character-rich, mystery-driven science fiction grounded in science fact. Hello again. I’m still trying to clear out the list of stories I read while I was away for surgery. Plenty more to come, but I read a lot of short fiction when I first got home because I slept a lot and am making my way through most of that first. For clarity, I did receive a copy of this story from the author in exchange for an honest review. Collision was a little something different though still very much in keeping with the author’s style. It was not what I expected from the title or the blurb, but I was pleasantly surprised once I got into it. One of the things I love about stories is getting a quick glimpse into how someone’s head works, what they dream and wonder about, etc. This short story takes us down the rabbit hole of possibilities for how we might encounter other life. At just 48 pages it’s a quick, but enjoyable read although I would have liked it to be a little longer. Of course, I have that problem with a lot of stories I enjoy. In this case, I can hardly detract points because I enjoyed it enough to want more and it is a serial so is to be continued. The characterization was well done, which is something I’ve come to expect from Mr. Cawdron and there was plenty of interest along the way. The main character’s interaction with the reader took on an almost conversational tone in this story. I don’t know if that’s worth noting for readers. I found that along with the action it drew me into the story immediately. 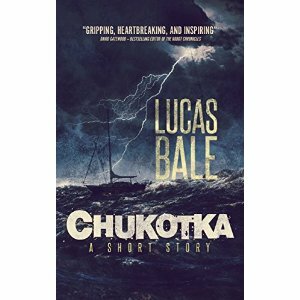 This tale starts right in the action with vivid and personal descriptions. I really enjoyed the turns it took and am interested to see what more in this series. This story was just enough to start wondering what might be next along this path. For those of you around the world who have already celebrated or are celebrating the many holidays of this season, I wish you all the best. Happy reading. only to find itself locked in a room with a madman? This wasn’t a bad little story. I very much enjoyed the beginning and watching this character make its discoveries, but the ending was a little confusing and left something to be desired in my opinion. I basically know what happened in the end, but the manner in which it was described left you thinking there could be any of a number of actual ways it might have occurred. 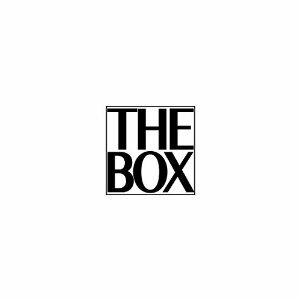 The Box was an interesting story, but I think it needed a little more. I understand using brevity to add to the mystery or suspense of a situation, but it would have been nice to have had a little more explanation in some places. All things considered I’m still not sure about the madman mentioned in the description, but it wasn’t a bad read for free. I borrowed it as a download with one of my memberships and have to say it filled a few minutes very nicely if you have time for a short read. We all know I love Hugh Howey’s stuff, but they can’t all be blockbusters so I’ll be keeping an eye out for the next one. On a side note, it is summer and I’ve been being kind of bad with regard to the blog. There are lots of things to do and I haven’t been reading as much as I’ve been writing. I’ve promised some ARC and beta reading, though I’m woefully behind on both, and hope to get those read and posted by next week. In the meantime, I hope everyone in this hemisphere is keeping cool. Two Alaskan cold-water surfers sail the Bering Strait in search of the gnarliest waves. A dying Chukchi hunter leaves his village for the desolate Siberian tundra, seeking to prove his usefulness to the wayward youth of his people. When the perfect man-made storm provokes the towering black waves of the Bering, and surges over the frozen Russian wilderness, it throws together old and young, East and West, forcing them to confront their prejudices in a desperate fight for survival. Professor Truman is a substitute teacher. Follow the events of a normal day in her life… and discover why there’s absolutely nothing normal — in any sense of the word — about her life. 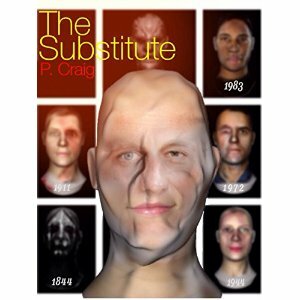 The Substitute is the first of the “Heroes and Villains: Character Shorts” from author P. Craig. I picked this up off the Kindle Unlimited list and I have to say I really enjoyed it. The story is only about 20 pages in length, but I will definitely be keeping an eye out for more from this author. As the story is only 20 pages, you’ll have to forgive me for not giving too much away. Also, ignore the tags on this post or you may get a spoiler you don’t want before reading the story. The Substitute begins in 1955 with a school teacher in Melbourne, Australia, who seems to be a little less than enthused about her job. From there things really start getting weird. This was a page-turner and I guess the easiest way to describe this story is as a horror/mystery/thriller story (for lack of a better explanation). I’m a wimp when it comes to horror and it wasn’t so scary that I couldn’t read it, which is one of the reasons I’m kind of at a loss about how to categorize it, but I wouldn’t suggest giving the story to a young child. It’s definitely not that kind of story. This was an intriguing story that kept me guessing until the final few pages and I really enjoyed it. P. Craig did a great job writing this and I look forward to reading more from this author in the future. Make a point to check this out especially if you have the unlimited service. More to come. Next up, I’ll be reviewing the The Robot Chronicles (The Future Chronicles Book 1). It has some great stories that I can’t wait to share with you. How do you hide state secrets when teenage hacktivists have as much quantum computing power as the government? Alexander Hopkins is about to find out on what should have been an uneventful red-eye flight from Russia. Nothing is what it seems in this heart pounding short-story from international best-selling author Peter Cawdron. 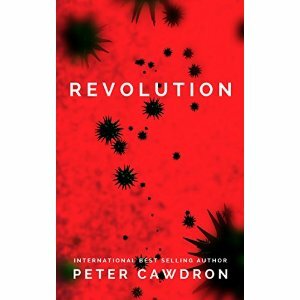 Technology has advanced and the U.S. government behaves like a police state in this interesting short story by Peter Cawdron. The main character in this story, Alexander Hopkins, is having a really rough day. He meets a beautiful Russian model on his trip home, is confronted and harassed by security personnel after arriving at the airport and then the day goes straight to Hell from there. This story is an action-packed ride. For me, however, this story simply wasn’t long enough. I enjoyed it, but am used to reading longer things from this author and would have liked to see the story developed more. That being said, Peter Cawdron originally set out to write this for a magazine so there may have been a word-count limit of which I am unaware. Nevertheless, I enjoyed the story itself. The premise isn’t that far-fetched, which has got to make you think.